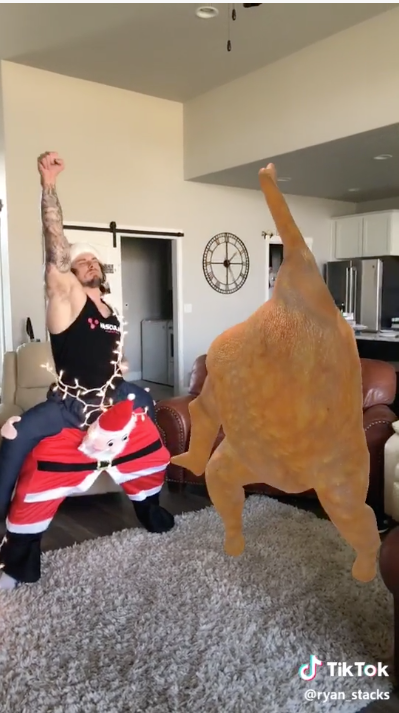 TikTok introduces the funkiest dancing turkey in the world, just in time for Thanksgiving. See how to make the Turkey shake its moneymaker by clicking the object under the AR Objects in the Effects feature in your TikTok app. Place the turkey on your video by tapping anywhere in the frame. Pinch in on the screen to shrink, and pinch out to super size the bird. Then season for taste, we mean capture your video like it's the fourth Thursday in November!